Name: Tulips for the QEH! 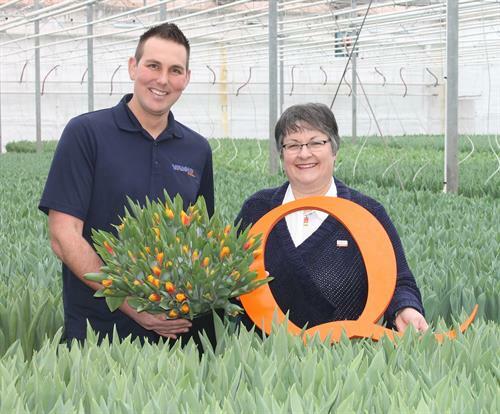 Islanders will have the opportunity to brighten up their homes and work spaces with some beautiful tulips from Vanco Farms by supporting the QEH Foundation’s “Tulips for the QEH” sale on Thursday, February 28th, 2019. Businesses and individuals are encouraged to pre-order their tulip bouquets before Thursday, February 21st by calling the QEH Foundation office at 902-894-2425 or by emailing sgwhiteway@ihis.org. Volunteers with the QEH Foundation will offer free delivery to businesses in the Greater Charlottetown Area, with a minimum purchase of five bouquets. QEH Foundation volunteers will also be selling tulip bouquets in the QEH lobby on Thursday, February 28th, from 11 a.m. to 2 p.m., or as supplies last. A bouquet of 10 tulips will cost $10, and all proceeds will help support the purchase of a new CT Scanner for the Diagnostic Imaging Department at the Queen Elizabeth Hospital.